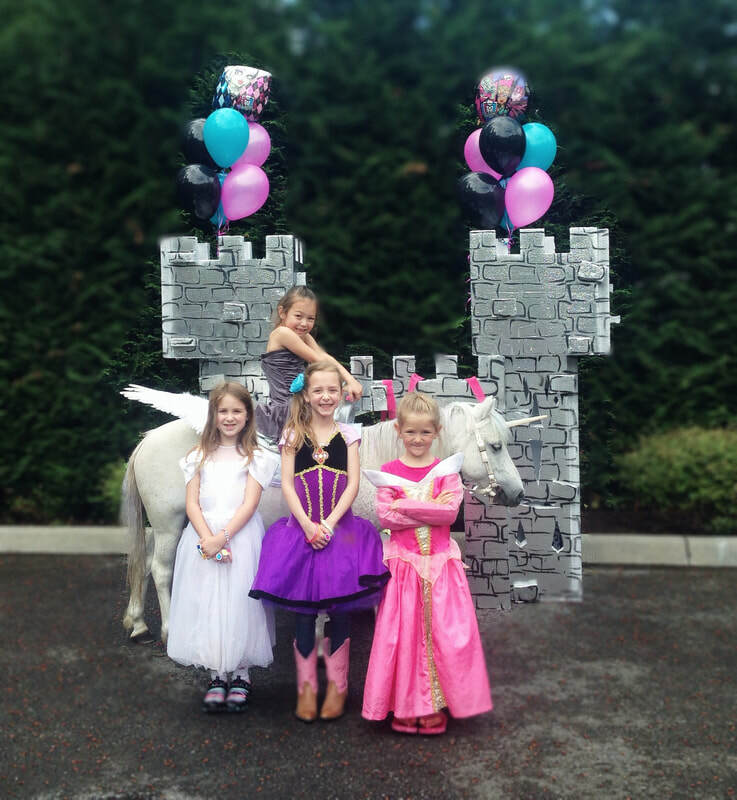 Our beautiful ponies are the perfect addition to your party! We bring two, three, four or more of our wonderful ponies to your location, for any occasion. All they need is a small yard, cul-de-sac, sidewalk, quiet street, parking lot or even a park. 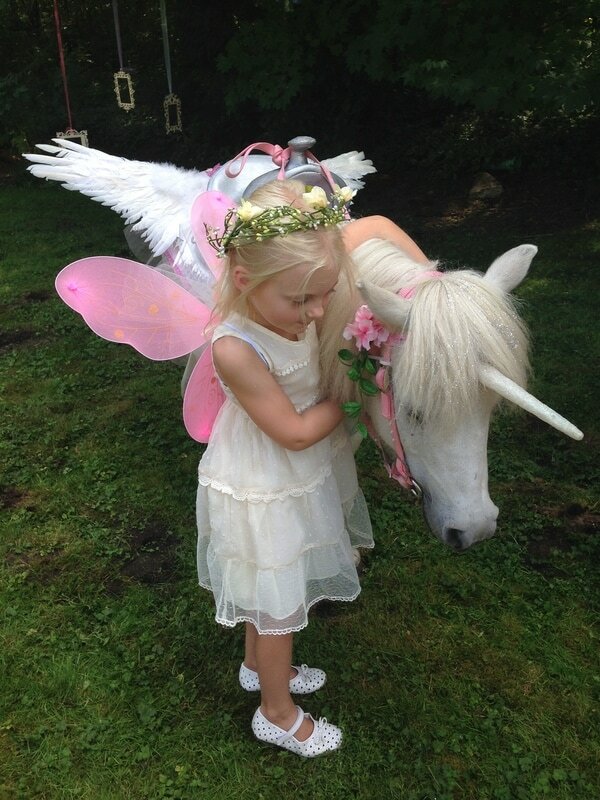 We can bring our ponies to your house, local park or almost any location of your choice! We hand-walk them, and parents are always welcome to walk along with their child. 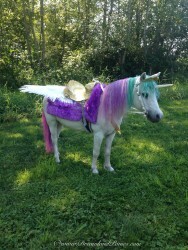 We dress up our ponies to match any theme you can dream of, including unicorns, and My Little Pony! We instantly provide all cleanup after the ponies, leaving you with only wonderful memories. 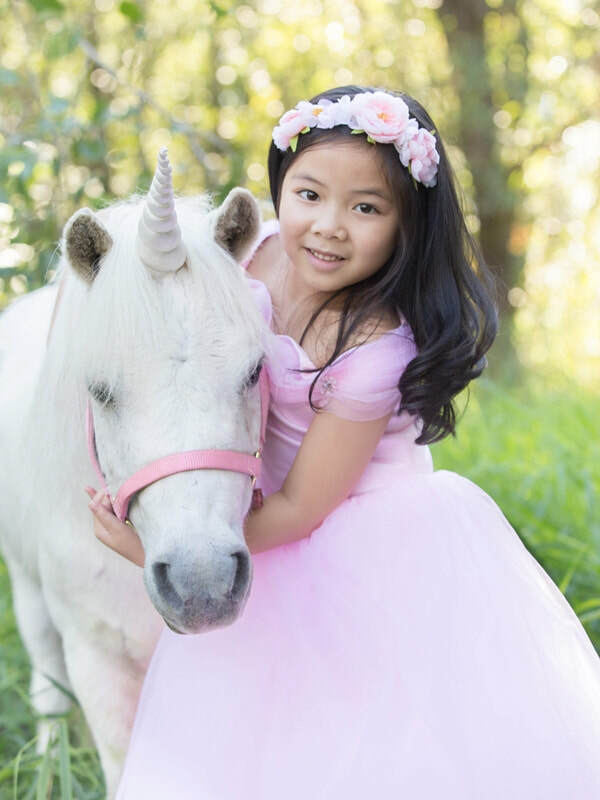 We lovingly donate a portion of all of our pony party proceeds to help heal and cure children with chronic and terminal illnesses. For Frequently Asked Pony Party Questions, please ​Click Here. ​Rain or shine, our ponies don’t mind!! Basic pony party package comes with one pony dressed in western tack, with unlimited pony rides for up to 8 riders. 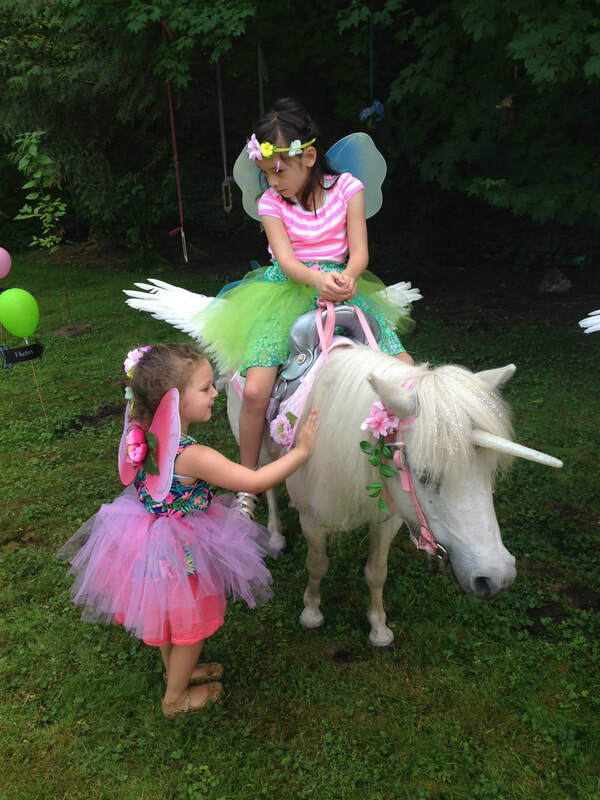 The basic pony party package comes with two ponies dressed in western tack, with unlimited pony rides for up to 12 riders. The basic pony party package comes with three ponies dressed in western tack, with unlimited pony rides for up to 20 riders. This package is also a great idea to give your birthday child a very special pony all of their own, without having to share their pony! 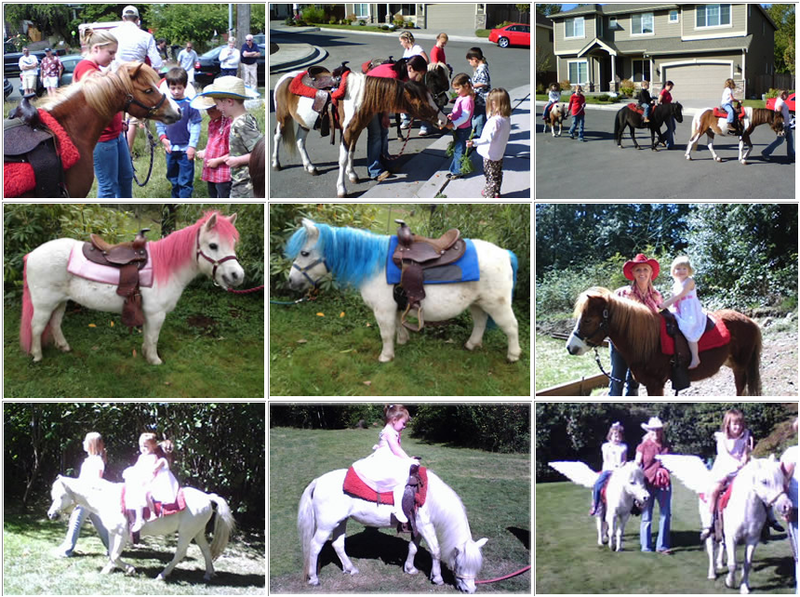 The basic pony party package comes with four ponies dressed in western tack, with pony rides for 20-25+ riders. 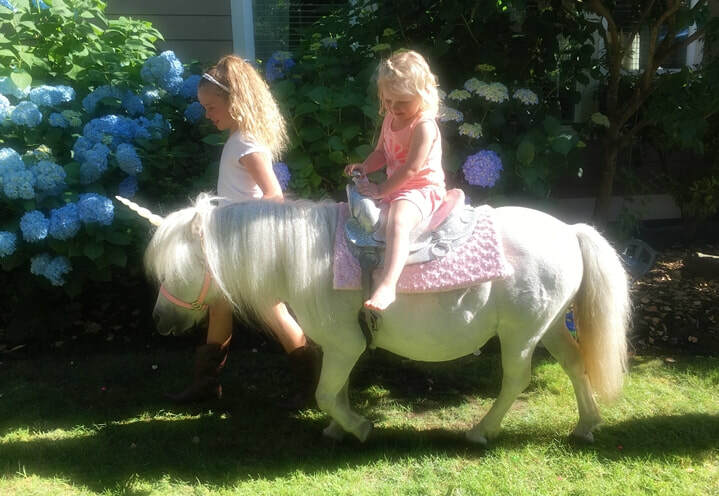 We offer additional ponies and/or time by the half hour. 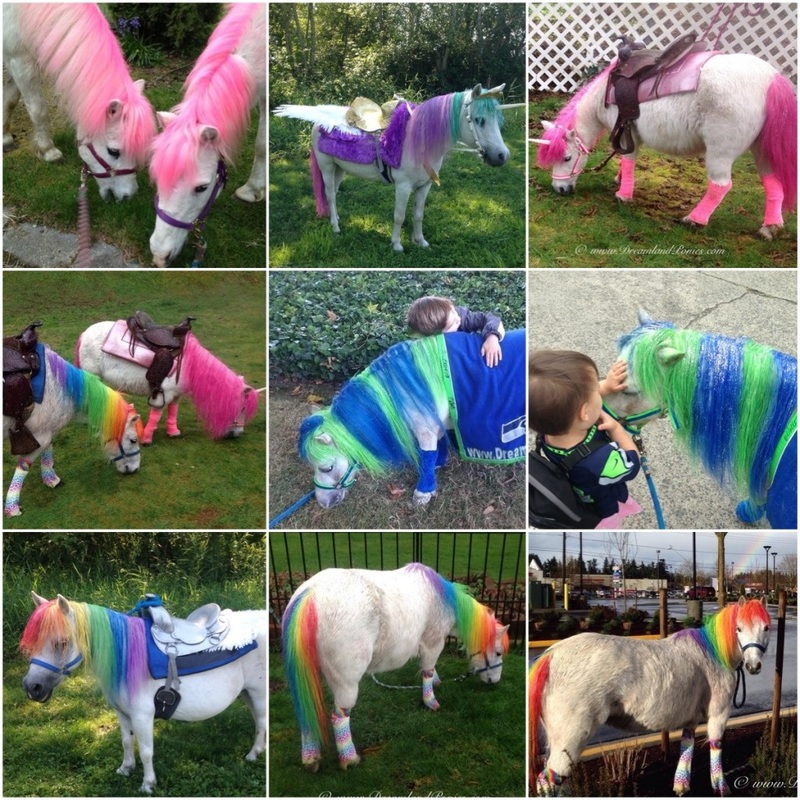 Our beautiful ponies can match any theme of your choice! ​Please Contact Us for a quote that's customized to meet your needs. Great entertainment and memorable fun for children, or adults of all ages! Our teeny little adorable miniature horses are only 28" tall! 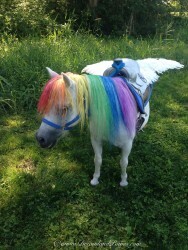 Comes with a professionally trained handler, and unlimited mini pony hugs and kisses for one hour. ​All Add-On options include our beautiful, custom, sparkly silver, or gold saddles; saddle pad color of your choice, and pony decorated with glitter, for no extra charge! ​We have beautiful pure white ponies available for the children to finger paint and decorate! Let your children bring out their creativity and have lots of fun while doing it! 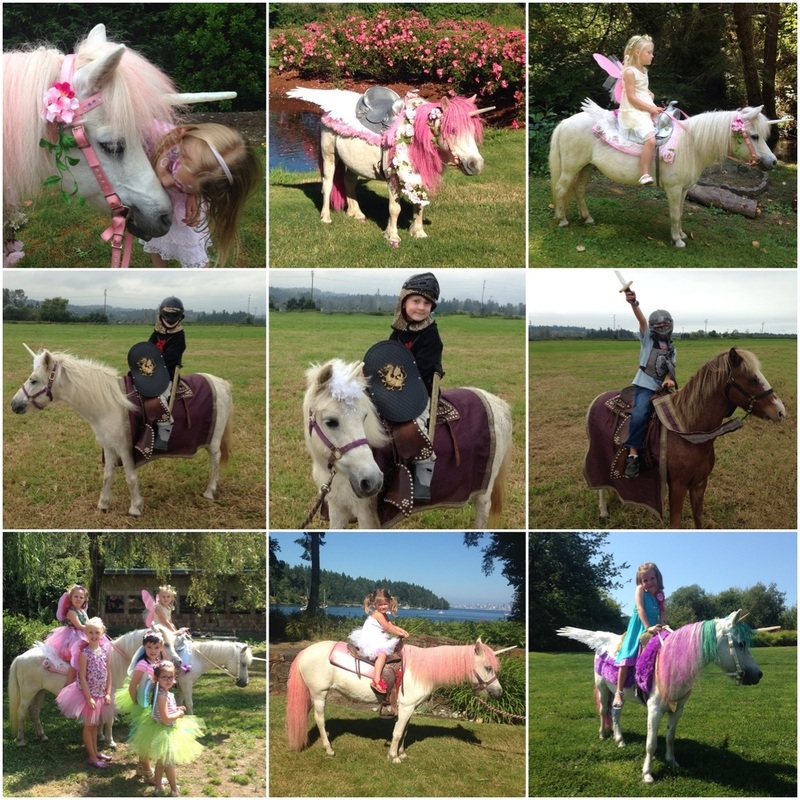 1, 2, 3, 4 or more white ponies for an unforgettable pony painting and riding party!